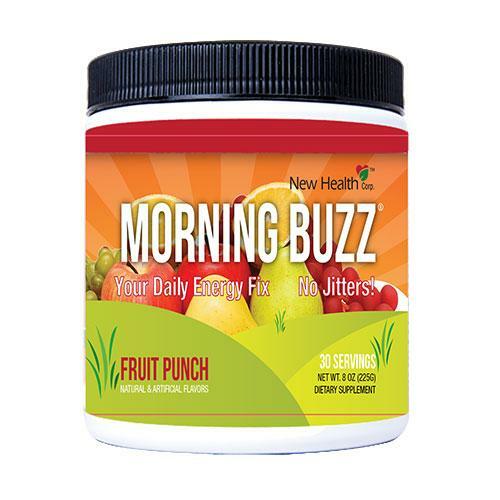 Morning Buzz is brought to you by the folks at New Health Corp. New Health has been providing quality American made products for over a decade. Based in Asheville, North Carolina, New Health values their customers opinions greatly. If you have any questions or suggestions, please don’t hesitate to drop us a line. Whatever your morning routine is, a scoop of Morning Buzz with water will get you energized, more alert mentally and physically and help you be the best you can be. 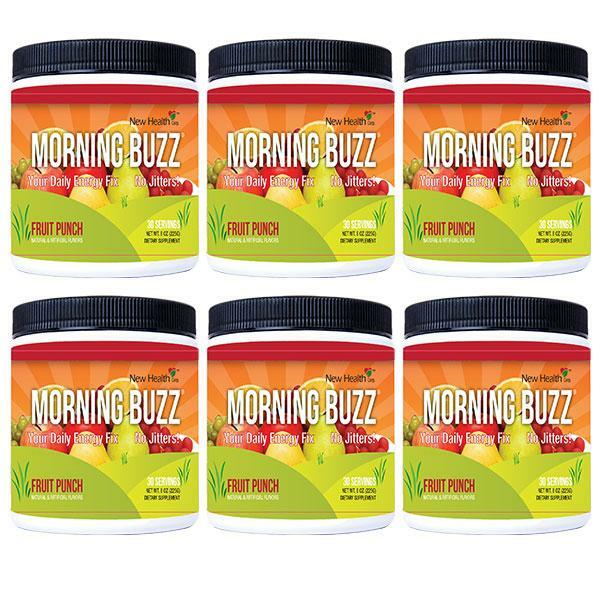 If you start feeling sluggish at some point in your day, try Morning Buzz and your mental alertness will come alive and you will suddenly be in a better more positive mood and with so much more energy! The perfect antidote for sleepy sluggishness! 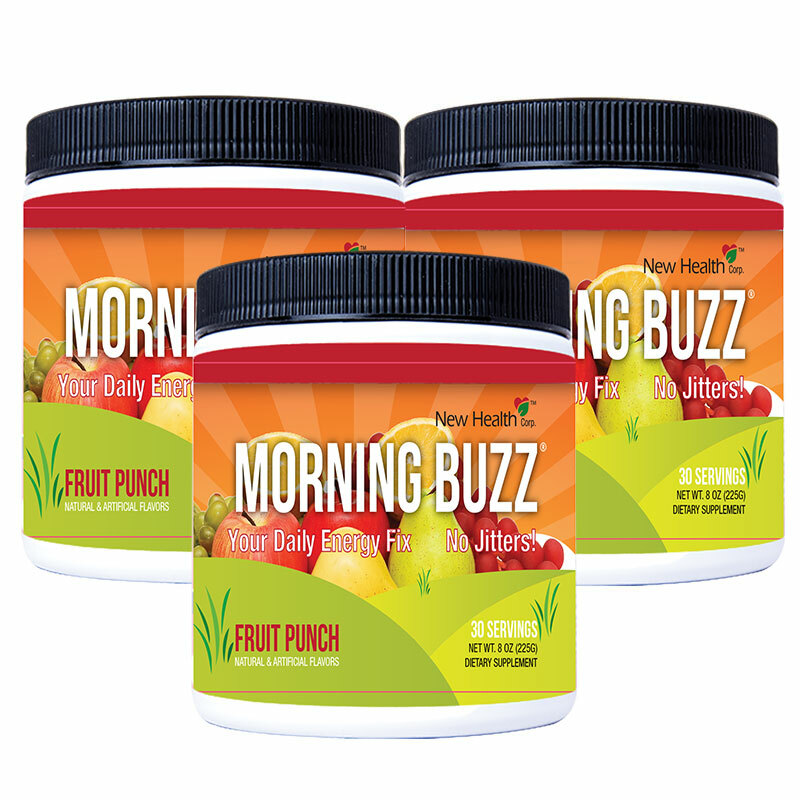 Wake up and come alive at any time of the day with Morning Buzz, your daily energy fix! Thiamine, thiamin or vitamin B1 named as the “thio-vitamine” (“sulfur-containing vitamin”) is a vitamin of the B complex. Niacin, also known as vitamin B3 and nicotinic acid, is an organic compound with the formula C 6H 5NO 2 and, depending on the definition used, one of the 20 to 80 essential human nutrients. Carnitine is an amino acid derivative and nutrient involved in lipid (fat) metabolism in mammals and other eukaryotes. It is in the chemical compound classes of β-hydroxyacids and quaternary ammonium compounds, and because of the hydroxyl-substituent, it exists in two stereoisomers, the biologically active enantiomer L-carnitine, and the essentially biologically inactive D-carnitine. Inositol is a sugar alcohol. Its taste has been assayed at half the sweetness of table sugar (sucrose). Taurine or 2-aminoethanesulfonic acid, is an organic compound that is widely distributed in animal tissues. It is a major constituent of bile and can be found in the large intestine, and accounts for up to 0.1% of total human body weight. Tyrosine or 4-hydroxyphenylalanine is one of the 22 amino acids that are used by cells to synthesize proteins. It is a non-essential amino acid with a polar side group. Its codons are UAC and UAU. 5.0 out of 5 starsDelicious, energizing, without the slump afterwards. Fantastic and without fizz! Tastes great, more and better vitamin ratios than energy drinks in cans. Yum. Feels great, too, but don't have too much...I still feel the buzz for sure. Taste is great and it does the trick!! Better than Spark and no pyramid scheme! starsIs everything a Pre Workout Sports Nutrition Drink should be! Good wake up without jitters or headaches. I used to use a product from VRP called Dynamic Duo which had more of a “fog cutting” feel, but this is the best substitute I’ve found since VRP discontinued production of that other product.